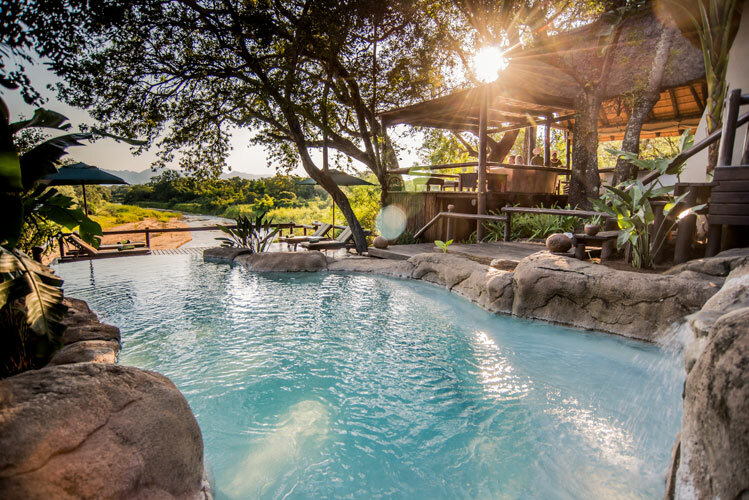 Kuname Lodge is a small, luxury safari lodge set in 9 000 hectares of wilderness within the Karongwe Private Game Reserve, Limpopo. Nudging up beside the Drakensberg escarpment, the lodge offers spectacular views, as well as exciting Big Five game viewing on twice-daily guided safaris. Five luxurious chalets and the sole-use, three-bedroom Kuname Manor House provide five-star accommodation on the banks of the Kuvenyami River amid great old trees. With a watering hole nearby and provision of private viewing decks, game viewing is always an option. There's currently no specials at Kuname Lodge.